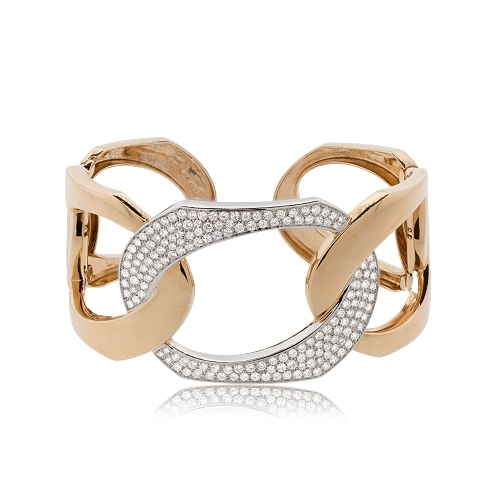 Alternating diamond and 18k rose gold link bracelet. Diamonds approx. 2.78ct.